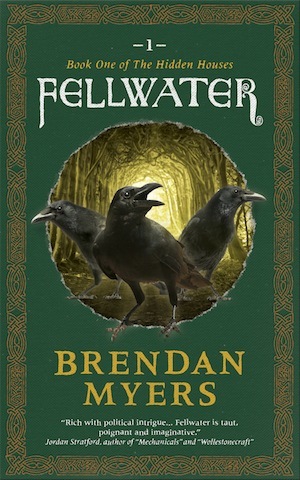 “Fellwater” is a modern fantasy novel about two lovers caught between two rival factions of an ancient secret society. On the night Katie tried to tell Eric her true feelings, all they did was argue, and she left with a broken heart. But then she met Carlo, a charming, cosmopolitan, and mysterious man from an Italian noble house. In his presence a mystical vision overtook her, and she remembered meeting him before, thousands of years ago, in the ancient Celtic iron age. But she awoke the following morning in a hospital, without knowing how she got there, and she learned that Eric spent the night in jail after being chased by gunmen. All was not as it seemed, and they were both in terrible danger. As Eric mourns his lover’s death, a flamboyant stranger draws him into a conspiracy to destroy a magical well. The death of Eric’s lover left him grief-stricken for months. 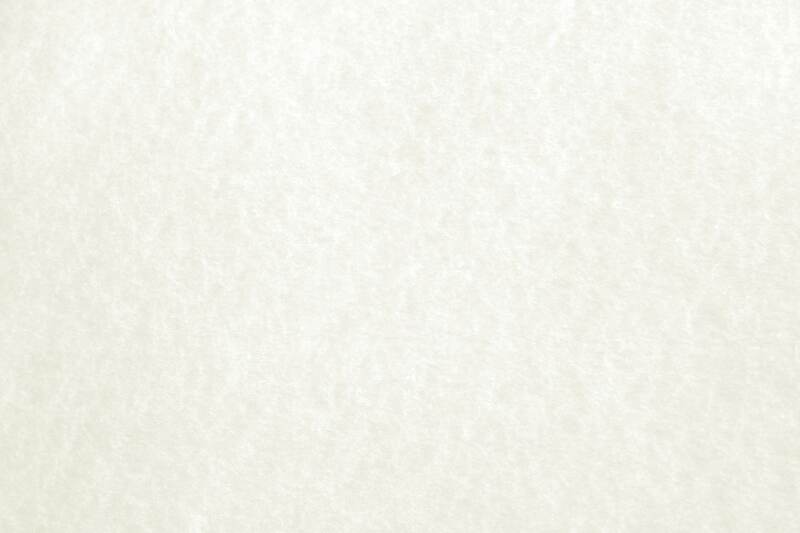 So when the smooth-talking Heathcliff claimed to have spoken with Katie’s ghost, Eric wanted to hear more. He followed Heathcliff to Hallowstone Castle, where a seer told him that Katie had been murdered. Meanwhile, a magical well in Fellwater Grove comes under attack. Eric volunteers to help investigate the attackers, but the more he learns about the true nature of the well, the more his loyalties are put to the test, and the deeper he falls into danger. Without knowing who to trust, and without time to heal his grief, Eric must find Katie’s killer, and face a momentous choice. Accused of a crime he didn’t commit, Eric is banished from his clan. But in exile he discovers a secret that threatens everyone he loves. Eric is the first ‘outsider’ in 300 years to be made an honorary member of Clan Brigantia. But when an ambassador from a rival house accuses Eric of poisoning his wife, Eric is banished from the clan. Meanwhile, packs of monsters are escaping from their prisons in the underworld, and threatening the village of Fellwater. And a powerful but mysterious social movement called the Guardians claims that they have been secretly protecting the world from such creatures for centuries. Eric discovers a dangerous truth about the monsters: but his former friends, convinced of his guilt, don’t believe him. Burdened by loneliness, and the false charges on his head, Eric struggles to clear his name and warn his friends of the threat to their home. 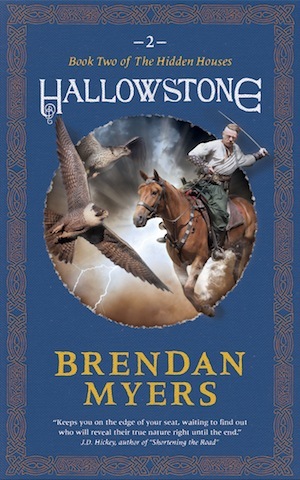 “Brendan Myers has taken his deep understanding of the Celtic culture and created a world as riveting as George R.R. Martin’s Game of Thrones. His characters, setting, and plot line are smoothly intertwined and masterfully unfolded, leaving the reader yearning for more.” -Yvonne Erlichman, God Box Cafe. As House DiAngelo's plan nears completion, the Fianna must choose between fighting to reclaim their home, or building a new one. A bounty goes out for Eric Laflamme, who hides in a safe house in a faraway city. 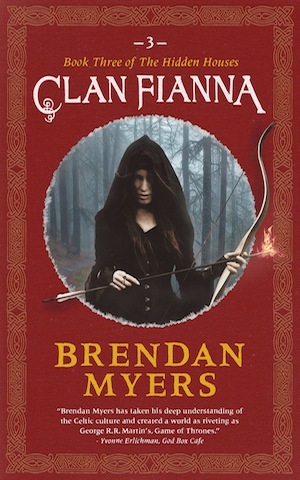 The Fianna, led once again by Miranda Brigand, are on the run, and divided among themselves. Some want to drive House DiAngelo out of Fellwater, and so reclaim their home. Others want to start afresh in the abandoned Voyageur freehold of Elderdown, hundreds of leagues away. Attacking the DiAngelo will require weapons and allies they don't yet possess. Settling Elderdown may be easier, but the only one who knows its location is Ildicoe Brigand, a pariah whom no one but Eric will trust. The time for deliberation ends, and the time for action arrives, when the head of House DiAngelo murders one of his own men, and declares the final phase of the Magnum Opus begun. “Masterfully weaving together a rich world of mythos, Myers follows in the footsteps of the great fantasy storytellers of our time—Martin and Tolkien—but he does it on his own terms, bringing new twists and turns... it will nourish your imagination and soul for years to come.” --L. M. Browning, author of The Nameless Man. The world of the Hidden Houses expands with a collection of novellas and short stories. The three Nefzawi brothers, Ibrahim and Ghazwan and Fred, are on a mission to the far reaches of northern Canada in the winter. They seek the hidden monastery of "The Old Man", a sage who they believe has the answers to all the big questions in life. On the way they meet Eden Thornhill, a scout from the previous expedition fifty years earlier, but who claims to have been stranded only a few days. With supplies running low, and the shadows of Wendigo stalking them, the brothers doubt their mission, and then they doubt each other. 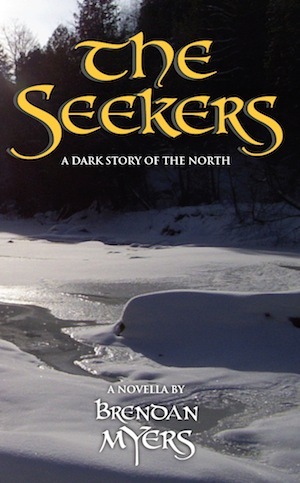 A spinoff novella from the author's urban fantasy series, The Seekers is a modern-day fairy tale about brotherhood, courage, and obsession. Eleven-year-old troublemaker Jillian Brighton receives an unexpected gift: a magical telescope that can see into alternate realities. As she learns to use it, she discovers a civilization on the moon. But her best friend doesn’t believe her, and her suspicious parents want the telescope sent back where it came from. Then the shady private detective Nicholas Brogger tells her the telescope was stolen, and that he is coming to take it away. Determined to keep it, Jillian must outwit him at his own game. 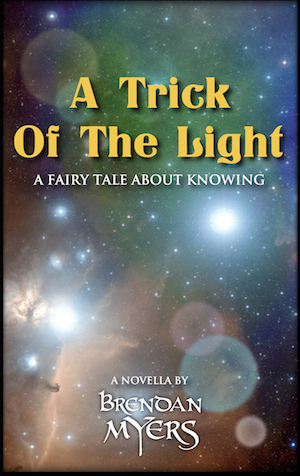 Previously released under the title "Jillian Brighton and the Wonderful Cosmographic Telescope", A Trick Of The Light is a modern-day fairy tale about knowledge, childhood, and discovery. 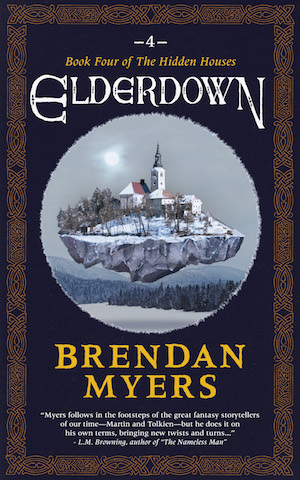 I enjoyed escaping the mundane in this novella from Brendan Myers' Fellwater stories. I found it reminiscent of Philip Pullman's Golden Compass, both in the tone of the narrative and in the character of Jillian Brighton. - Brenda Lively, reviewer on Amazon. Available from Amazon, in Kindle and paperback.